If you were rejected from business school last year, it may be tempting to scrap your applications, essays, and letters of recommendation and start from scratch. However, by doing so, you may be doing yourself a disservice. 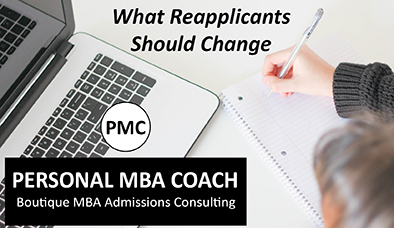 Here are some tips on what you should improve upon, what you should tweak, and what should remain consistent on your business school applications the second (or third) time around. • Letters of recommendation: If you are not confident that you had the best LORs, consider asking someone else to write a new one for you this year. Some schools may require you to submit at least one new LOR regardless. • Interview skills/preparation plan: It takes practice and training to master the art of an impressive interview. If you were rejected after receiving an interview, re-visit your preparation plan. Consider a mock interview with a consultant or an experienced coworker to discover your weaknesses and improve your skills. • Evidence of analytical skills: This is particularly true if you are compensating for a low GPA. Look for options to prove your analytical abilities such as taking local or online math classes. Earning a top grade in a class such as Math for Management at Berkeley is a great way to prove that you have what it takes to keep up in business school. Finally (and most obviously) consider whether you can improve your GMAT/GRE score this time around. • Extracurricular activities: Have you added any new activities since the last time you applied? More importantly, do your activities align with your long-term goals? Have you demonstrated initiative and leadership in your extracurriculars? If not, consider how you can improve upon the activities you have or which activities you can add now. • Work experience: Highlight new projects you have tackled at work that demonstrate your leadership, analytical, or risk-taking skills. If you felt your last application was weak in a certain area, what have you done to strengthen it for this round? Consider what new responsibilities you can take on at work that will improve your resume, but still allow you the time and energy to apply for Round 2. • Goals: In almost all cases, your goals should remain the same. You want to demonstrate to the admissions committee that you are focused and consistent. Instead, re-examine how you laid out your vision. Ensure that you demonstrate that you understand the skills you need to achieve your goals. Of course, sometimes goals change because of life or work circumstances. If this is the case, make sure you carefully explain how your goals have evolved so that you do not appear indecisive. • Your story: As with goals, you want to demonstrate to the admissions committee that you have a clear sense of self and purpose. Therefore, your overall story should not change. However, you may find it necessary to address any large holes or weaknesses in your resume, such as a dramatic career shift without an accompanying explanation. It can be overwhelming to think about re-applying to business school after being rejected. However, with the right process, you do not have to (nor should you) start from the beginning. Use these tips as you review last year’s application to see what needs to be improved in order for you to make the best impression this time around. 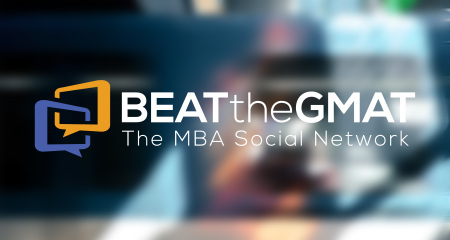 Founded by a Wharton and MIT graduate, Personal MBA Coach has been guiding candidates through all aspects of the MBA application process for over 10 years with a 96% success rate. We also conduct mock interviews with former M7 and top 10 interviewers on our team. Call us today at 617-645-2424 or email at scott@personalmbacoach.com for a free consultation on your profile along with how we can help make your career dreams a reality!